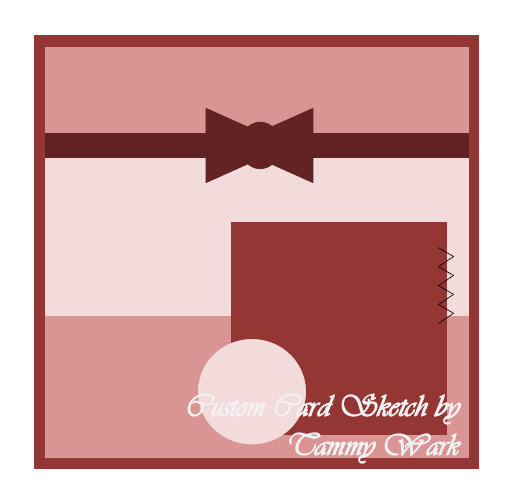 Today, I’m excited to share the July sketch created by fellow Imaginisce designer, Tammy. She created a card sketch for all of the Imaginisce designers to use. 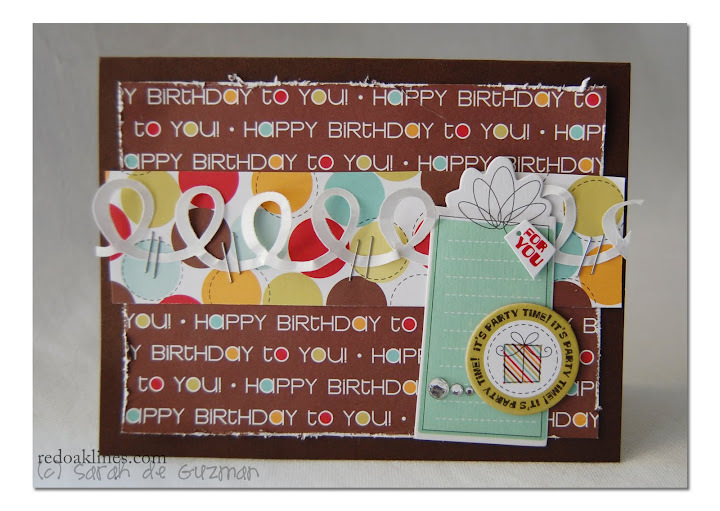 …so this month, I created a simple card using the latest Imaginisce release, Birthday Bash. Now doesn’t that make a cute birthday card?! Oh, and more importantly, make sure to head on over to the Imaginisce blog for details on how to win some of these latest products. You are definitely going to want to play along this month! Also, TAAFOMFT posted a new challenge! Right when I found out that the prompt was to scrap about your favorite store, I knew what I wanted to scrap about – Target, of course! This layout is obviously not a typical size that I normally design. Why? Well, Bekka challenged me to create a 6×12 layout, so I did just that. It was definitely quite a task because I’m so used to working with 12×12 sized layouts. Surprisingly, however, it turned out really well. What do you think of this one? Make sure to swing on by TAAFOMFT to gain inspiration from the rest of the DT. I’m sponsoring this challenge, and I’m giving away tons of Imaginisce goodies to one lucky participant! On another note, hopefully these projects will inspire you to create a project or two. PS: O.M.Gee, Suzy! The crop yesterday was super fun! Thank you, girls, for the laughs. …and Gina, you rock! Thanks for letting us print our photos. We need to get together again soon! Sarah you’ve created such a cute card… just love that little curly-whirly piece! Clever you! I notice that you used the curly-whirly again – just to cute! I love that idea and how you stapled it on – so many cute elements to make your projects pop! You are so clever! TARGET ROCKS!!!!!!!!! super cute card! 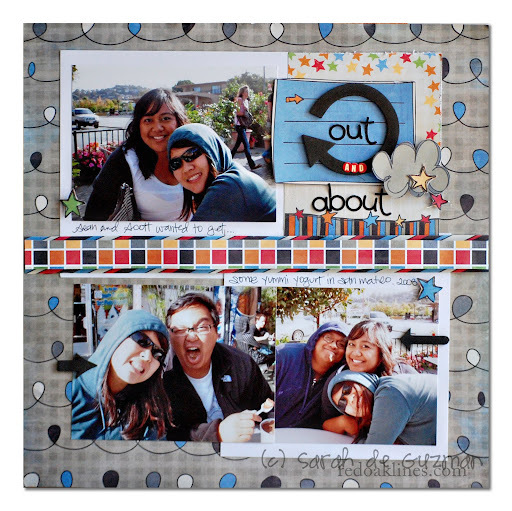 and love your 6 x 12 layout – great shoppers think alike!!!!!!!!! Have a super week! I can’t believe it is July either! Where is the summer going??? Love all of your creations. TFS. Love your card Sarah and those little twirly things are so cute! Oh Sarah I just SOOOO love your style! That out and about LO is too cute! Hope you have a great weekend!! You rocked that Imaginisce – as always! LOVE the card you did based on the sketch. That line of papers is wonderful. Have a great weekend. Happy and safe 4th to everyone! Cute card! Diggin’ the curls!! As usual, great projects! Full of inspiration! Adorable card! I really love that Birthday Bash line. And your Target layout is fantastic! Love that birthday bash card! Too cute. July, second half of the year already 🙂 Time flies. Loving your projects here. Those cards are a lot of fun! I love the loop-de-loop popping off your card. Too, too cute. Very cute- I too love the loop-de-loop. Good job! Darling card and I adore the loopy trim with the staples! i love this card! it’s so pretty! and those LO’s are fun too! Super cute card and I’m loving the Target layout…cute cute cute! Yikes, no talking about Christmas! Too many holidays to get to before that 🙂 Your card is for Imaginisce is darling. I just love how you distress the edges and cut out that curly piece of paper. They add a nice dimension. Very beautiful! Loved your work! the card is adorable, target rocks, and i love that last layout as well…so fun! i’m thinking bout my fave store…hmmmm….maybe i’ll play along again! I think I just threw up in my mouth a little just thinking about Christmas! Lovely lovely creations as usual sweet gal. Love the card !! Wished they would open a Target in Singapore !! WOW!! THAT’S AN OLD PICTURE!! I’m so happy I challenged you! Did you notice I made my own 6×12 for this challenge, too? You could say that my inspiring you inspired me. Haha! hey chickie!!! Cute card….and I played along!!!! Hugs! your card is way cute and what a fun layout. ADORABLE card & FUN, FUN pages! LOVE that you & Bekka did 6 x 12 pages for the FAV STORE challenge! Gotta ♥ Target! Hope you have a GREAT 4th weekend! Love these projects. The loopy-loos on the card are a great touch! Muy buena tarjeta, con los detalles, excelentes productos usados y muy buen diseño. Muchos cariños ! love, love, love all the new layouts!!! Great birthday card and target layout! Cute card, I like the swirls stapled on. I love your take on the sketch Sarah! Your card is adorable. SUPER CUTENESS up in here! 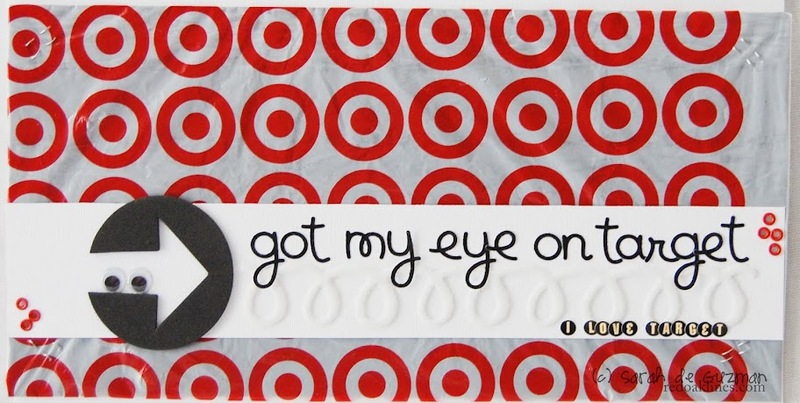 Love the Target LO…I was ther just an HOUR ago with my daughter starting our school shopping! LOLOLOLOVE Target!!! Just love to follow your work, wow what a great job…TFS! Hi Sarah! I love all your projects! The little clouds on your layout are so adorable! I linked up my layout on the site. I love the festive feel of the card! and the Target layout had me laughing – it’s my fav store too but my daughter despairs when I want to go as she is sick of the place – she works there! lol. Love the card, get jog with the Target bag!!! I love to recycle!!! Love your card – so cute. I really like the paper swirl! Great card.